Brilliant Company - TCP is a publicly traded company (NYSE:TCPI) headquartered in Ohio. You are brilliant for making the decision to switch to energy efficient LED lighting from TCP! Our philosophy at TCP is to provide you with the perfect energy-efficient light for your every need. For over 20 years, TCP has delivered cutting edge lighting products to our customers. We control every facet of the design, development and manufacturing process to ensure you get a quality product you can count on. Brilliant Choice - Have you been turned away from upgrading to energy efficient light bulbs by the way they look? At TCP, we understand. That’s why our products are designed to look like everyday light bulbs. We strive to provide aesthetically pleasing bulbs, with the highest quality, at the best value to you. Brilliant Savings - Because TCP LEDs are designed to last for 22 years or more*, you won’t have to worry about switching out your lights for quite some time. TCP LEDs are the perfect energy saving replacement for standard incandescent bulbs and will drastically reduce your energy bills while providing the same light quality. 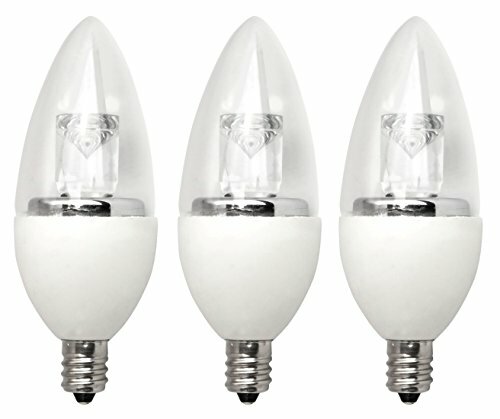 Brilliant Color - These TCP LEDs give you instant light output with just a simple flip of a switch. The soft white color temperature (2700K) gives off a warm full glow ideal for living rooms, dining rooms and recreation rooms.